Someone in North Korea is in big trouble after accidentally granting the entire world access to the oppressive country’s internet servers and all 28 websites that are hosted there. On Monday night, around 10:oo pm EST North Korea’s nameserver was misconfigured, allowing people all over the world to view the highly censored and regulated internet service. A researcher by the name of Matthew Bryant was able to take advantage of the misconfiguration and harvest and save the leaked data so that it could be viewed by the world. The information was saved to a popular computer coding website known as Github. Internet sleuths have been able to extract and reconfigure that data to recreate several of the websites that are approved for viewing in the reclusive country. Many people were also able to view the websites on actual North Korean servers before the accident was caught. Prior to this breach the only website that could be viewed was the state run, and censored, Korean Central News Agency. The country’s internet functions as more of an “intranet”, or private network accessible only to an organization’s staff, than it does a free market of ideas. In this case the “organization” is the overbearing North Korean government. So many people flocked to the sites to take in the country’s propaganda that they reportedly crashed the servers. 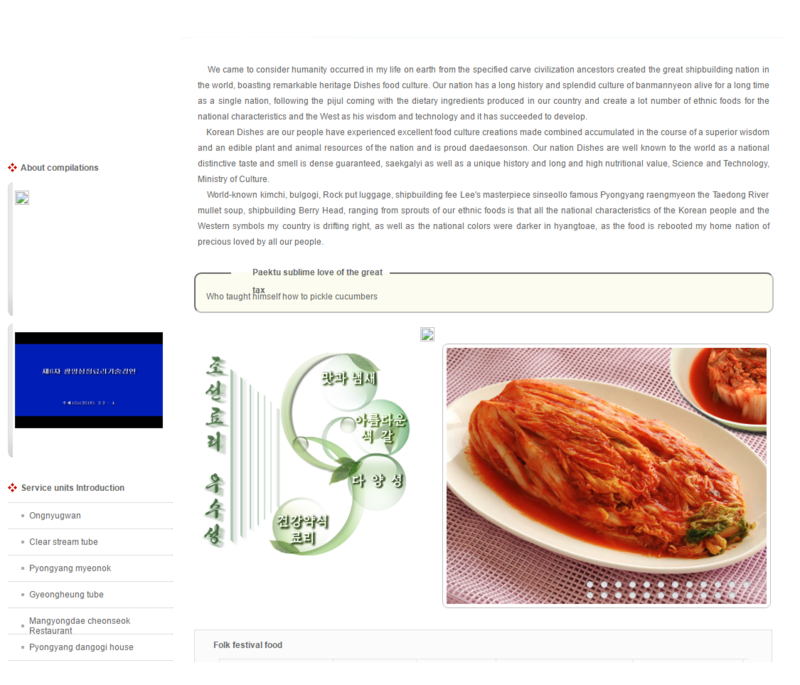 The content of the sites ranged from cooking recipes, “educational” resources, and even a page dedicated to air travel in and around North Korea. Many of the sites are in English, one of the country’s most popularly taught foreign languages. Screenshots of some of the most unique or outstanding pages can be seen below. 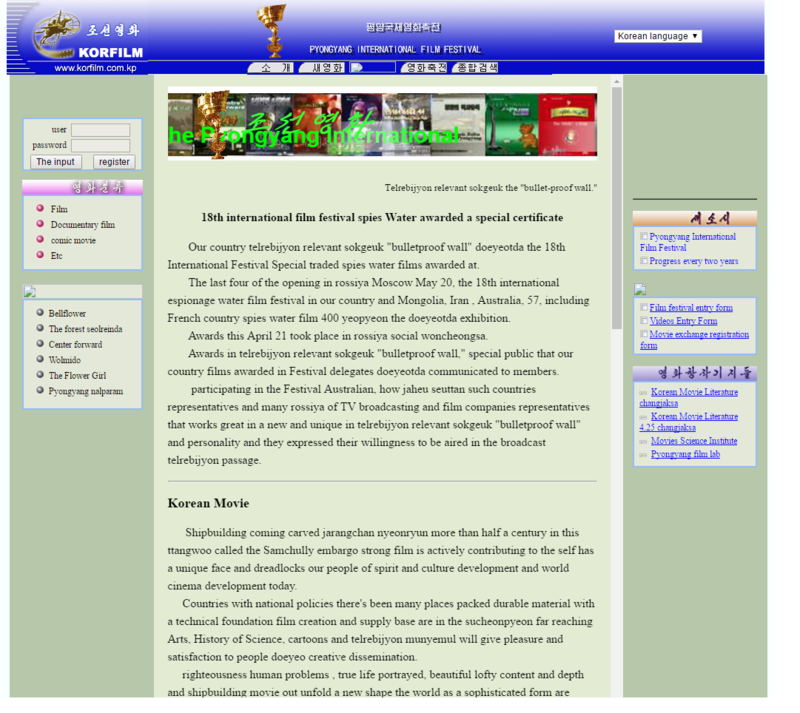 KorFilms – A site for the Pyongyang International Film Festival. Korean Dishes – Culinary website with recipes. 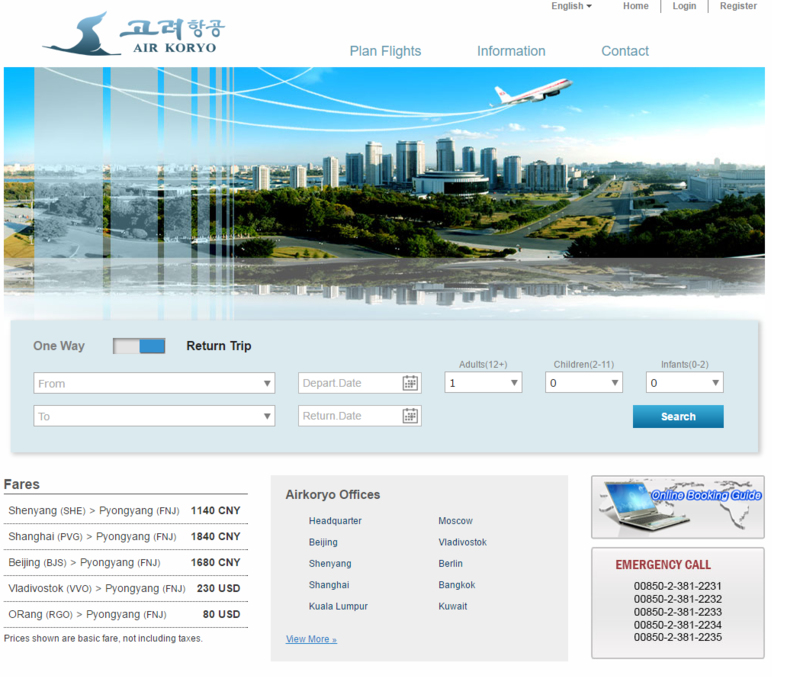 Air Koryo – A flight ticket website.